Katruska and I have never been fans of tropical or “tiki” style drinks because of their tendency toward sugary sweet flavors and the danger of loosing an eye to paper umbrella. So we weren’t all that happy when it came time to taste The Fogcutter cocktail. 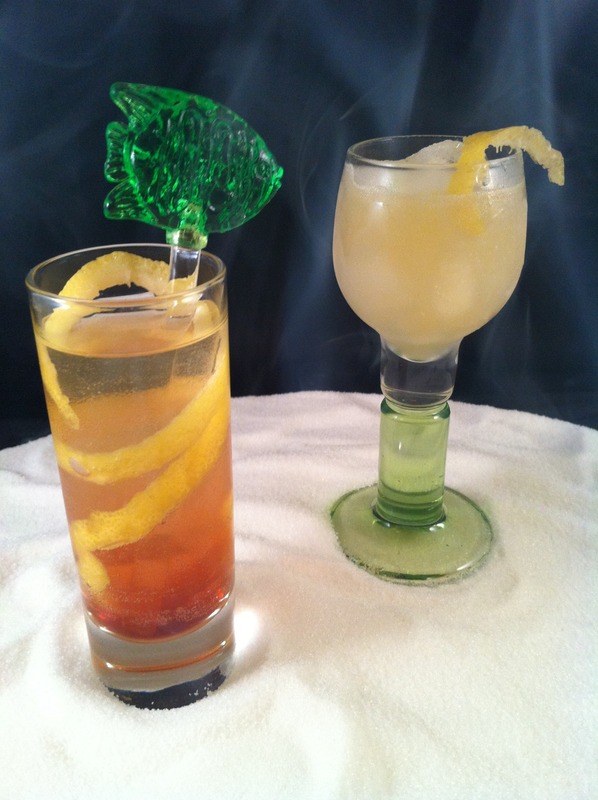 This a cocktail’s origins whose are firmly rooted in the “tiki” craze of the early twentieth century that started in and around Los Angeles before taking the rest of the United States by storm. But how did this craze start? In December 1931, a 24-year-old native of New Orleans named Ernest Raymond Beaumont Gantt washed up in Southern California looking for something to do. Gantt made do in the Depression economy through his wits and odd jobs—working in restaurants in Chinatown, parking cars, and doing a bit of freelance bootlegging in the months before Prohibition ended. Sociable and charming, he befriended such Holly wood personalities as David Niven and Marlene Dietrich and through them found occasional work as a technical adviser on films set in the South Pacific. A couple of years after he arrived in Los Angeles, Gantt happened upon a newly vacated tailor shop just off Hollywood Boulevard. He built a bar that would seat about two dozen customers and scattered a few tables in the remaining space. The place was decorated with his South Pacific memorabilia,along with old nets and parts of wrecked boats he scavenged from the oceanfront. Gantt called his watering hole Don the Beachcomber. He then devised an exotic menu of rum-based drinks to complement his theme and scratched the names on a board behind the bar. 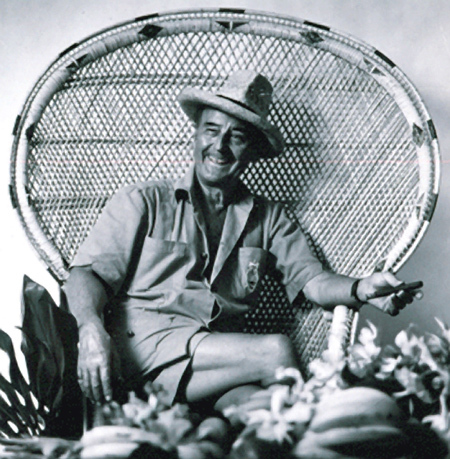 The combination of Gantt’s engaging personality, the novelty of his drinks, and servicemen returning from WW II with a taste for tropical fruit proved irresistible to his patrons. Word of Don the Beachcomber began to spread through Hollywood and beyond. “If you can’t get to paradise, I’ll bring it to you,” Gantt told his customers. In fact, the place became so much part of his personality that he legally changed his name to Donn Beach. And why not? 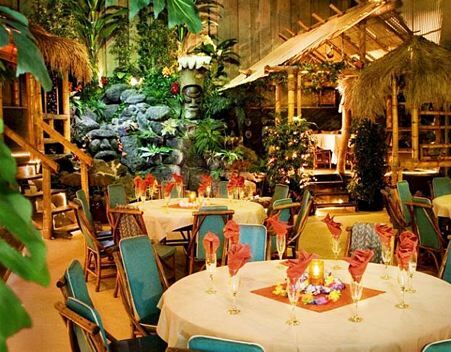 He was the inventor of the tiki bar, a new kind of place that, over the next 30 years, would migrate from the cities to the suburbs and beyond. So what exactly is a “tiki” drink? The “tiki” cocktails invented by Donn Beach, Trader Vic, and others are in a faux-Polynesian style, consist of at least one hard liquor (in most cases many more), a sweeter liquor or liqueur, and fresh fruit juices. Examples include the Mai Tai, Pina Colada, and Zombie. The owners of many the early “tiki” establishments were very protective of their house cocktails, so it often isn’t clear what the correct recipe is for the drinks. The recipe that we used as the standard comes from the famous Tony Ramos, an original bartender at Don the Beachcomber. Mr Ramos until recently could still be found on occasion behind the bar at Cuidad in downtown Los Angeles and is considered by many to be the greatest living tropical drink barman alive today. Based on our tasting, it appears that it would require the master’s hand to make the cocktail something we’d want to drink. It turned out to be very thin tasting with little to no dimension. The prominent flavor was the rum taste with a bit of the sweet-and-sour mix. It was just not what we expected from a classic “tiki” drink. Add all ingredients with ice to a cocktail shaker. Shake until chilled. Pour into a cocktail glass and float some cherry brandy on top. Add all ingredients with ice to a cocktail shaker. Shake until chilled. Strain into a cocktail glass full of ice and float the sherry on top.